Please join conservative women to enjoy some time to listen to 2 speakers this meeting. Did You Know ... SD County Office of Education estimates Countywide there are 18,000 Homeless Youth. This month Rebecca Hernandez Coordinator Safe Center and Student Services Programs, Abraxas High School and T.J. Zane Poway Unified School District, Board of Education will discuss the Homeless Student Population in PUSD. Ms. Hernandez has over 20 years of experience in community engagement, public policy, substance abuse prevention & youth development. Ms. Hernandez currently serves in an advisory capacity on the Behavioral Health Advisory Board for San Diego County Health & Human Services. She has presented at local, state and national conferences sharing strategies for PARENT and community engagement in addressing and preventing youth substance use and the role of community advocacy in forming public policy. T.J. Zane is a public affairs and communications professional with over 20 years of experience furnishing consulting services for numerous non-profit/trade associations and corporate clientele. 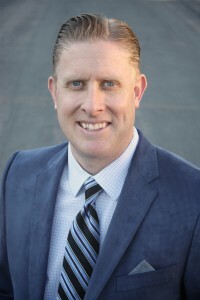 In 2014 he was elected to the Poway Unified School District’s Board of Trustees. He is committed to the academic progress, physical safety, and social and emotional wellness of students in public education. The Country Club of Rancho Bernardo; 12280 Greens East Road; San Diego, CA 92128. Friday, February 15, 2019 begining at 11:00 A.M. until 2:00 P.M.
Members $24 and Non Members $26. Please make your reservations with Rosalind Duddy 858-485-1770 or e-mail rosalindduddy@sbcglobal.net. Please rsvp before noon on Feb 12, 2019 also for cancellation or you will be billed.